This moving photography series looks to shed light on children with rare genetic conditions. 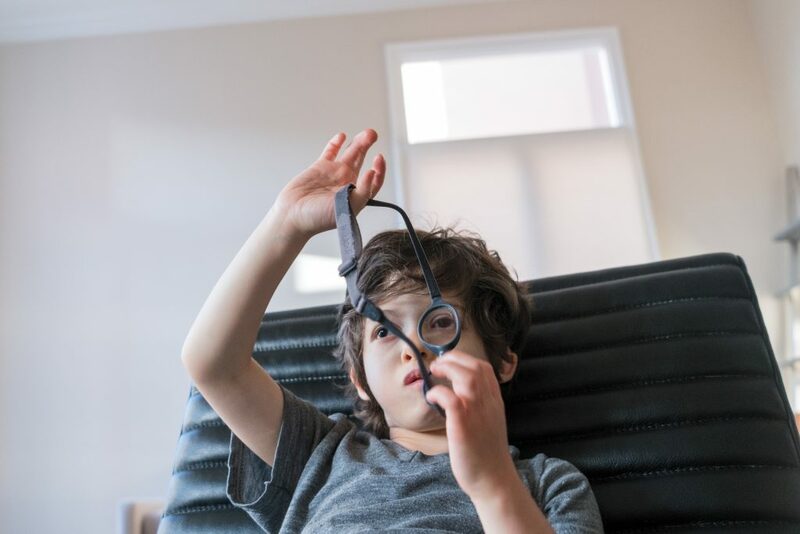 The children featured have been diagnosed with the likes of Marfan syndrome, megalencephaly-capillary malformation syndrome, and 22q11.2 deletion syndrome – titles unknown to most of the general public. PIC BY KAREN HABERBERG / CATERS: Jamesy has Duchenne Muscular Dystrophy, a genetic disorder that weakens the muscles. 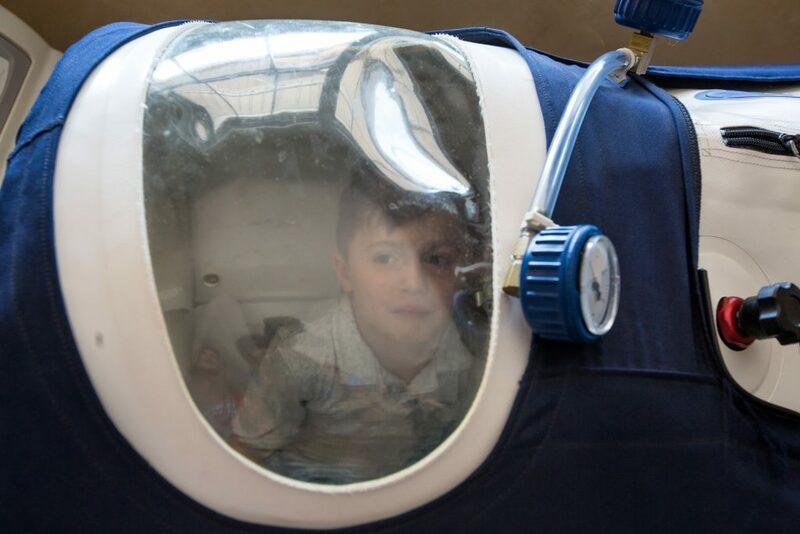 He often sleeps in a hyperbaric chamber to help improve his breathing, and his dad who discovered this method, always joins him. By shooting children in their natural environments – as cheerleaders, playing on trampoline, at home – photographer Karen Haberberg hopes to provoke thought, be it of daily struggles or uplifting hope. The series, entitled “An Ordinary Day,” was a “labour of love,” Karen, 44, from New York City, New York, said. There was an element of personal connection to the subject matter, too: Karen’s parents lost a child to Tay Sachs Disease before she was born, and, most recently, her best friend’s son was diagnosed with Angelman Syndrome. Karen said: “She added: ” One in 10 families in America has a child with a rare condition and 95 percent of those conditions do not have one single FDA approved drug treatment. “I knew I wanted to raise awareness for this community so I began to research the best way to find participants. “I wanted the images to be authentic and representational of “an ordinary day” in these families lives. 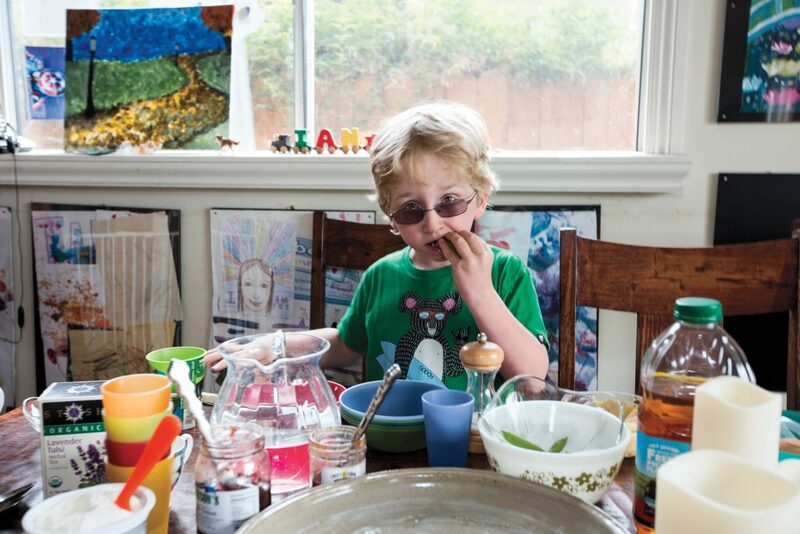 PIC BY KAREN HABERBERG / CATERS: Darus has Phelan-Mcdermid syndrome he is not able to feed himself, dress himself, use the bathroom himself, or verbally express the way he feels. The first child Karen photographed, named Mackenzie, suffered from Tay Sachs Syndrome, like Karen’s brother, and after that shoot, she opted to turn one image into a series. In order to identify subjects with rare genetic conditions, Karen reached out to Global Genes, a non-profit advocating for those with rare genetic conditions; took to social media; and simply relied on word of moth. The images for the book were taken between January 2016 and October 2016, Karen said. Moving forward, she plans to seek funding for a documentary film on the same subject matter. PIC BY KAREN HABERBERG / CATERS: After nearly a year of testing, Mackenzie was diagnosed with Tay-Sachs Disease, a terminal genetic disorder that progressively destroys nerve cells in the brain and spinal cord. Karen said: “I am hoping to spread the word about this book in hopes to work with pharmaceutical companies or other organizations to create similar projects for other causes.